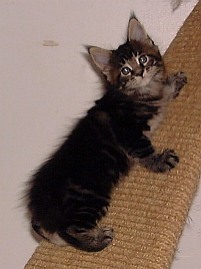 The kittens are pictured above at seven weeks of age. 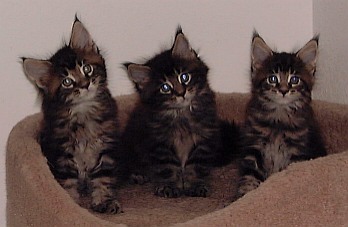 Left to right, they are Puck, Pan, and Pixie. All three are healthy, friendly babies. 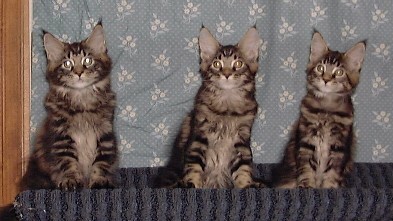 Left to right, they are Pan, Puck and Pixie. This is Puck. He looks so much like his daddy that his nickname is "Mini-Rumble". He is a chunky, spunky little boy, full of fun and trouble. This is Pan. 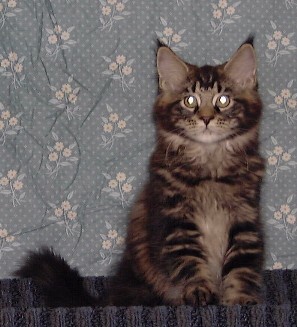 (He is not nearly as innocent as he looks here.) 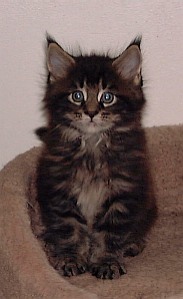 Pan is the largest kitten in the litter. 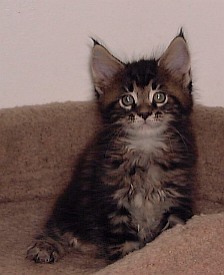 He and Puck are well-matched playmates, and take turns being The Leader, the Bad Guy, and The Troublemaker. 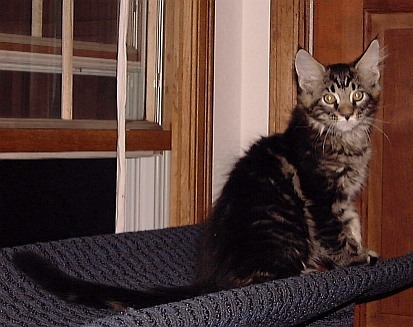 Puck at 12 weeks of age. 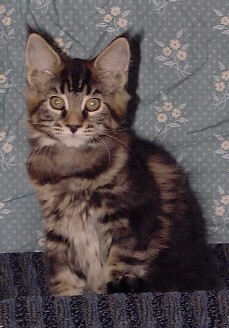 Pan at 12 weeks of age. Pixie at 12 weeks of age.